The corresponding author of the study that detected toxic leaks from the work of prominent British artist Damien Hirst has now retracted it — but most of his co-authors disagree with the decision. The April Analytical Methods study was covered extensively by the media when it suggested staff at Damien Hirst’s 2012 exhibition at Tate Gallery in London of dead animals embalmed in formaldehyde were being exposed to higher than recommended levels of the carcinogen. Tate and Hirst’s company, Science Limited, immediately objected to the results; we’ve obtained what appears to be letter from a lawyer for Science Limited to the corresponding author of the paper — Pier Giorgio Righetti of the Polytechnic University of Milan in Italy — saying it was “deeply concerned and troubled by the claims” in the paper. Last month, the journal issued an expression of concern (EOC) for the paper, nothing the data may not be reliable, and on July 15, Righetti announced in a joint statement with Hirst’s company that he will be retracting his study. The corresponding author of the 2016 study that found high levels of the carcinogen formaldehyde leaking from a prominent British artist’s exhibition is now retracting it. 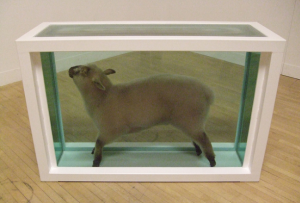 The study, about Damien Hirst’s 2012 exhibition at the Tate Gallery in London that presented dead animals embalmed in glass cases full of formaldehyde, suggested that higher than recommended limits of the carcinogen were being released from the exhibition. The study was widely covered by the media, which raised concerns over possible health hazards to visitors. 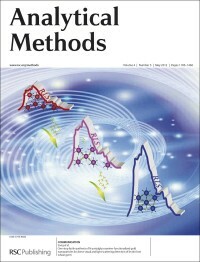 As we reported yesterday, the journal Analytical Methods had already issued an expression of concern (EOC), noting that the corresponding author of the paper, Pier Giorgio Righetti of the Polytechnic University of Milan in Italy, warned the paper may contain unreliable data. A study that found high levels of the carcinogen formaldehyde leaking from an exhibition by a prominent British artist may have unreliable data, according to its corresponding author. The 2016 study about Damien Hirst’s exhibition at the Tate gallery in London in 2012 — which involved keeping dead animals in formaldehyde in glass cases — sparked concern in the mainstream media over the exhibition’s potential hazards to visitors. But now the corresponding author of the paper — Pier Giorgio Righetti of the Polytechnic University of Milan in Italy — has alerted the journal, Analytical Methods, of the paper’s shortcomings. The journal has issued an expression of concern (EOC), and is investigating. The authors of two spectroscopy papers in Royal Society of Chemistry journals have retracted them.